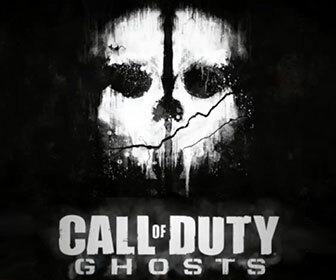 Call of Duty: Ghosts was officially released for Windows 7 and Windows 8 computers on November 5th, 2013. COD: Ghosts is rated “M” for Mature 17+ individuals. As usual this version of Call of Duty: Ghosts is only available for the Windows PC and game consoles, no Mac version available. The Call of Duty: Ghosts PC system requirements may have alienated a decent amount of Call of Duty PC game series fans. The reason why is COD: Ghosts is limited to Windows 7 64-bit and Windows 8 64-bit users only. [adblockingdetector id=”1″]The makers of Call of Duty: Ghosts require that PCs have a minimum of 6 GB of RAM. Only 64-bit Windows operating systems are capable of utilizing more than 3.5 GB of RAM. That is why Activision requires 64-bit versions of Windows 7 and Windows 8. I am sure there are gamers out there with a fast PC running Windows Vista 64-bit with 6+ GB of RAM wondering why your setup was left out. I was actually surprised that Windows Vista 64-bit was left out considering that Windows 7 is just a slightly more optimized version of Vista. There is good news and bad news for owners of Windows Vista 64-bit gaming PCs. The good news is that many Vista 64-bit owners have reported COD: Ghosts running without any errors on their computers. The bad news is that you may get lag while playing Ghosts on your Vista 64-bit PC. On a personal note, I have owned Call of Duty: Ghosts since day 1. I enjoyed the graphics and the new game mode “Blitz”. I even made a special loadout for Blitz which usually allowed me to be the top scorer in the game. I had various people rage at me while playing Blitz, it’s been fun, lol. The sad thing is that after the first few months people stopped playing Blitz. They mostly migrated to Team Deathmatch and Kill Confirmed. Those 2 are cool old school game modes but I prefer Blitz. I am hoping the Blitz game mode gets carried over to future versions of Call of Duty. If you are not sure how to lookup your Windows computer specifications that is not a problem. I created a tutorial on how to find your PC info quickly. If you have any QUESTIONS or COMMENTS about installing Call of Duty: Ghosts or are not sure if your computer is compatible, feel free to ASK FOR HELP BELOW! • INTERNET: Required for game activation. Broadband required for Multiplayer.